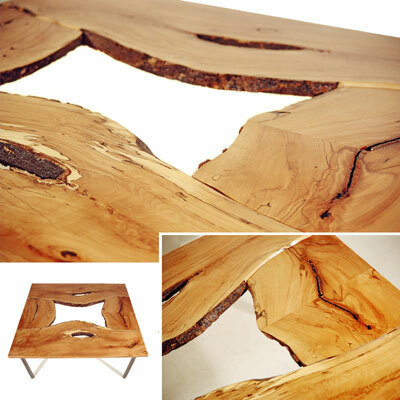 This table utilises the natural shape of the wood to create a very unique table. This table can be made from many different types of wood and can be supported by various table bases. Call for a quote today for your special table! The example shown, with a toughened glass cover, is £3,540. It was 1.5m Long x 1.5m Widex 0.75m High.